This page is dedicated to the legacy of Jerry Williams, a pioneer in - hell, one of the inventors of - Talk Radio. This book was written by two of the men who produced Jerry's program here in Boston and in Philadelphia and it's terrific. (Full disclosure - I worked with one of the authors at WRKO Radio in Boston) No matter, the book really is a fascinating, unvarnished look at a complicated and influential man, and I highly recommend it for any interested in the genesis of the influential field of talk radio. 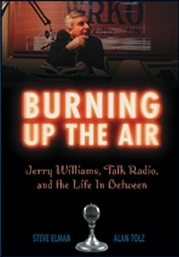 To learn more about Jerry, hear clips from his shows, and to order the book, visit the Jerry Williams web site. 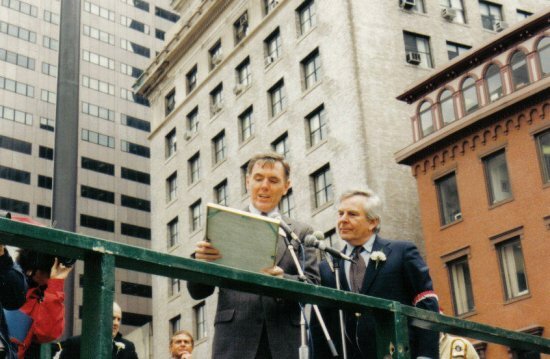 Here's how it started: in June 1986 the Boston Celtics were given a parade to celebrate their just-won World Championship. 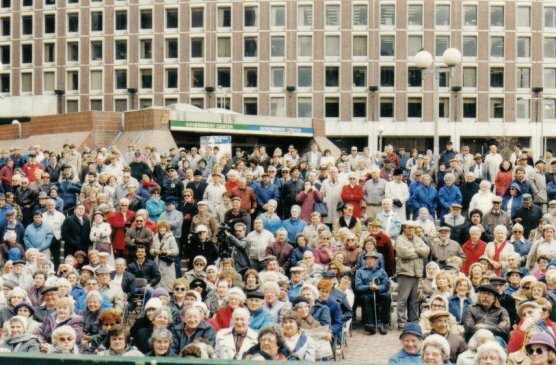 The parade ended at City Hall Plaza in Boston, and WRKO Radio (where David was an engineer at the time) had sent Jerry Williams to broadcast his hugely popular afternoon talk show. What Jerry said that day would literally change the map of the City of Boston. "I am not broadcasting from Government Center," Jerry said over the air, as David, working back at the studio listened, "I am broadcasting from Scollay Square. 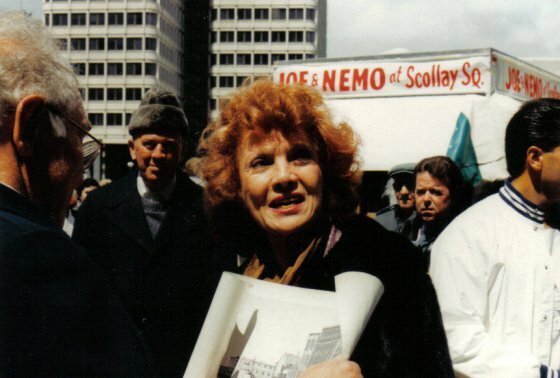 Let's bring back Scollay Square!" 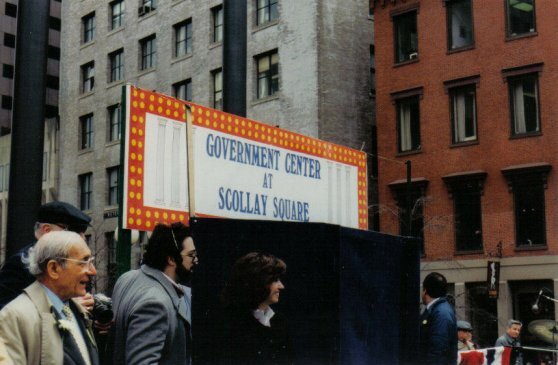 On April 8, 1987, thanks entirely to Jerry, the City of Boston officially renamed Government Center to reflect its special past: Government Center at Scollay Square. The T (Boston's subway system) would similarly rename the Government Center subway stop, and street signs in the area were also changed. Here are some photographs from that day. Mayor Ray Flynn, who was more than happy to take part in a non controversial event, reads the proclamation that returned the name Scollay Square to this part of town. Jerry Williams was the king of Boston radio in the 1980s, who made his influence felt on many issues, from seat belts to the Big Dig. 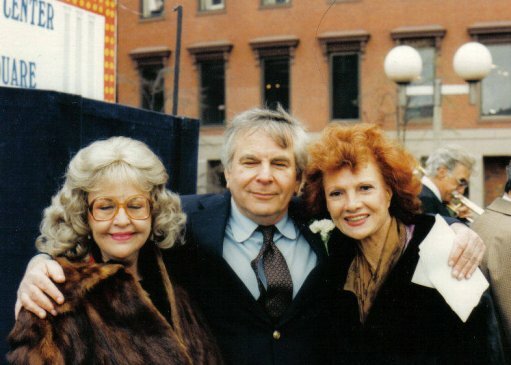 The renaming may not have been as important, but it was a special day for many Bostonians. Here, Jerry and the Mayor hold the renaming proclamation. The undisputed Queen of the Old Howard - Ann Corio herself - attended the day's festivities. 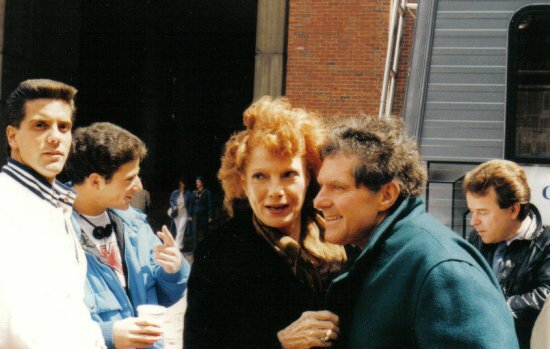 April 8, 1987 was quite a day in Boston. 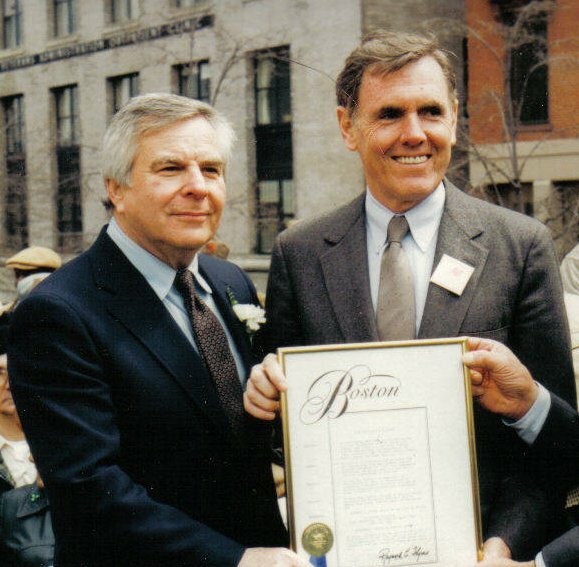 Just up street on the Boston Common, at almost the exact same time as the renaming ceremony was taking place, Massachusetts Governor Mike Dukakis was declaring his candidacy for President. This crowd made no bones about where they'd rather be. A Scollay Square celebration wouldn't be complete without old-time Boston pol Fred Langone (there he is, on the far left.) The woman just underneath the sign is Rosemarie Sansone, an aide to the Mayor whose Uncle "Dixie" had his own, unique ties to Scollay Square. 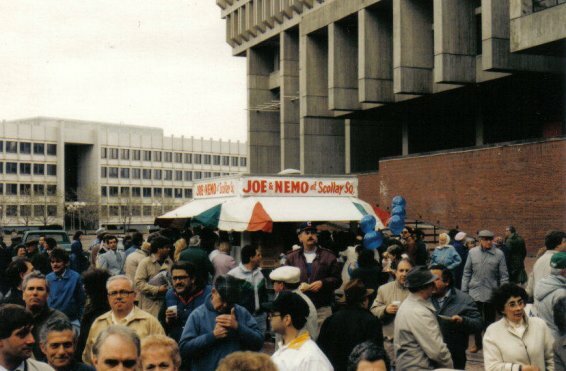 Of course, it wouldn't have been Scollay Square without the ORIGINAL Joe & Nemo, either. Author David Kruh with Ann Corio at the renaming ceremony. Ann was a delightful person. 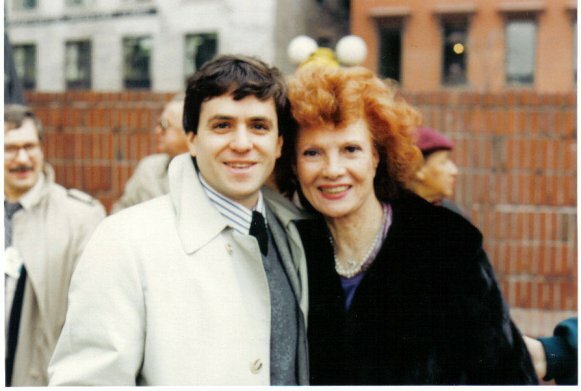 I will always be grateful to Ann for her generosity in helping me with my first book on the Square.